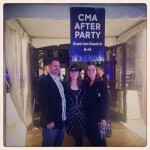 This year was my first year going to the CMA’s. 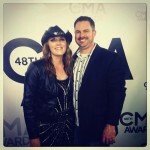 I just joined the Country Music Association. It’s going to be a fun year of learning! 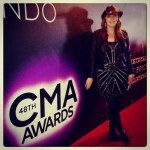 It’s cool the amount of inspiration that can come from going to the Country Music Awards as a musician. 1.) 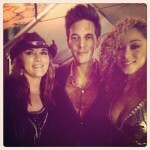 There is Country artist…. And then there is Miranda Lambert. WOW, that girl is ON FIRE! What did I learn from watching her accept award after award, perform with multiple people and change outfits and hair styles multiple times? A. The Awards represent hard work, talent, and determination combined. B. I need to stay focused on my own path, my day to day disciplines, and continuing to grow a deep connection with my own music fans as I continue to develop my gifts. 2.) Carrie Underwood is an AMAZING, POWERFUL singer. AND, she’s going to be a mom. She’s also a regular person who changed into comfy clothes right after the awards show was over. I want to be like her when I grow up! Lol Amazing woman! 3.) We should never think more highly of ourselves than we are. 4.) I was pleasantly surprised at artists taking genuine time to Thank God for blessing them and allowing them to live out their dreams. NOW, LET’S GO GET IT!